Visions & Voices: "Mojada: A Medea in Los Angeles"
From MacArthur Fellow and critically acclaimed author of Electricidad and Oedipus el Rey, Luis Alfaro's Mojada is a breathtaking reimagining of Euripides's Medea transported to East Los Angeles. In an epic journey of border crossings, Medea, a seamstress with extraordinary skill, runs from a past of betrayals. With husband Hason and their son in tow, our storied heroine's struggle to adapt takes a disastrous turn when old and new worlds meet in the City of Angels. Alfaro's gripping contemporary take on the ancient Greek myth tackles the complexities of family, tradition, culture, and the explosive moment when they all collide. Tickets $36–45. Boehm, M. (2015, September 4). 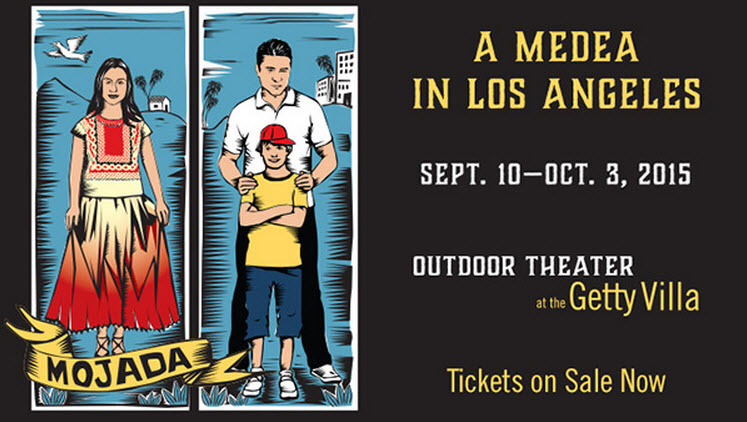 Luis Alfaro's 'Mojada' draws on Greek tragedy, Mexican American immigration. Los Angeles Times.